The Oktoberfest Munich 2017 takes place from September 16 until October 3. Like every year, it will be crowded with locals and tourists alike. 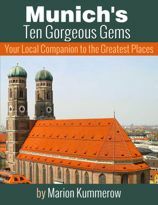 There's so much to see and do here, come with me on a virtual tour through the Oktoberfest grounds. 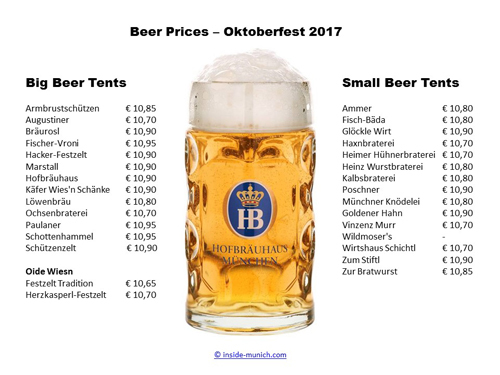 Here you find descriptions and pictures of all the Big Beer Tents (Part 1) and Part 2 including the famous Hofbräu Tent. 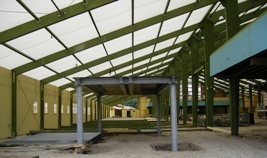 You also find a detailed description of roughly 20 lesser known Small and Medium Sized Tents (Part 1) and Part 2. The construction work for our famous Bavarian beer festival starts three months before the opening date to prepare everything. Starting from the underground station Theresienwiese (U4 and U5), the first tent you see, is the Spaten Ochsenbraterei. As you can see, there is still a lot more work to do, but you can be sure everything will be ready for the Anstich (opening ceremony)! 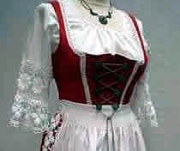 Meanwhile, I want to show you the "Wiesn" like most visitors will never see her. Wiesn is how we locals call the Oktoberfest. 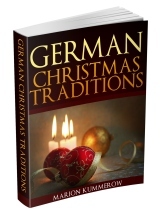 It's Bavarian for the German word "Wiese" and means meadow in English. 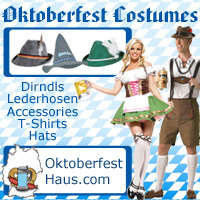 The name is a short name for the place where the October fest is held. The big square is called "Theresienwiese" and was a meadow many years ago. Today most of the square is covered with tarmac, but there are still parts with lawn. 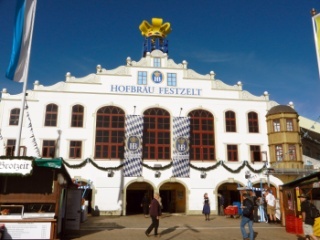 The building to the left is the Hofbräu tent. You probably have heard about the famous Hofbräuhaus. This is the corresponding beer tent at the Oktoberfest Munich. By the way, the "tents" are not really tents anymore. Nowadays they are made of steel and wood, almost like houses. Because of the many visitors (a few thousands per tent) it would be much too dangerous otherwise. This one's almost finished. You can already see the wooden interior and even the decoration in yellow and white. Hard to believe, that the whole tent will be filled with tables, benches, and thousands of persons, isn't it? During the two weeks, the Octoberfest attracts around 6 million visitors. Look at this photo. The English translation for the sign at the entrance is: "Closed because of congestion. Thank you for your understanding." 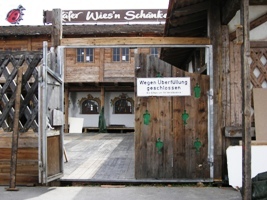 At the moment, the Käfer Wies'n Schenke is not crowded at all, but it definitely will be. Sadly, the Oktoberfest has become victim of its popularity: especially on weekends, the beer tents fill up quickly and are then closed. The surest way to get in, is to have a reservation. 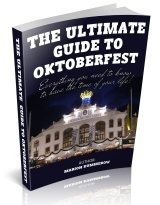 Read my advice on How to Make an Oktoberfest Reservation and what to do if you don't one. 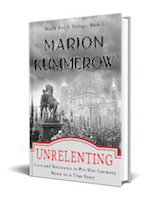 You need to make your reservations months in advance, otherwise you will be much too late. Nevertheless you can check the official Munich site for information, maybe you're lucky. 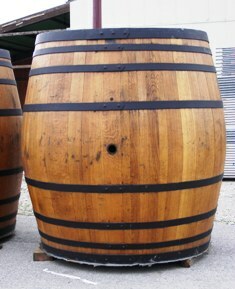 Here you can see one of the traditional wooden beer barrels. Unfortunately I was alone when taking the photos, so I couldn't stand besides it. Then you'd see, that it is almost 2 meters high! Nowadays most of the breweries use steel barrels, that are even bigger and easier to handle. The Augustiner Tent is the only one that still serves beer from wooden barrels. Many locals think this makes it taste so good. 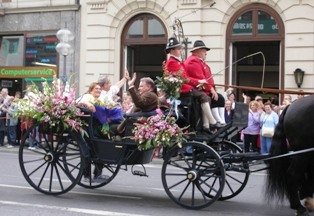 Awaited impatiently by millions of visitors, the Oktoberfest Munich starts with the Opening Parade and the famous Anstich by our mayor. Have a glimpse into the Procession of Breweries and Tent Owners with their colorfully decorated horses and horse-drawn carriages.